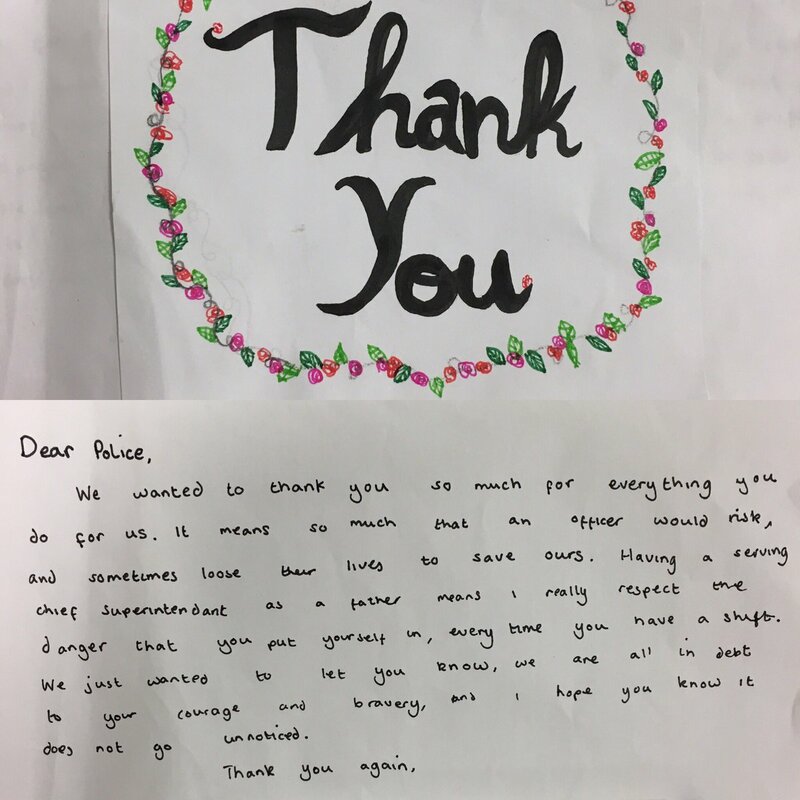 Police on patrol to reassure the public after yesterday's terror attack were given a touching letter by a group of schoolchildren to thank them for their service. Officers from MPS Clapham Town tweeted a picture of the letter, which they say was handed to them outside Brixton Station. One of the pupils said they had a serving officer as a father, while other parts of the letter thanked the police for putting their lives at risk in the line of duty. It comes after PC Keith Palmer lost his life during the attack while on duty at Parliament yesterday. We just wanted to let you know we are all in debt to your courage and bravery and I hope you know it does not go unnoticed.